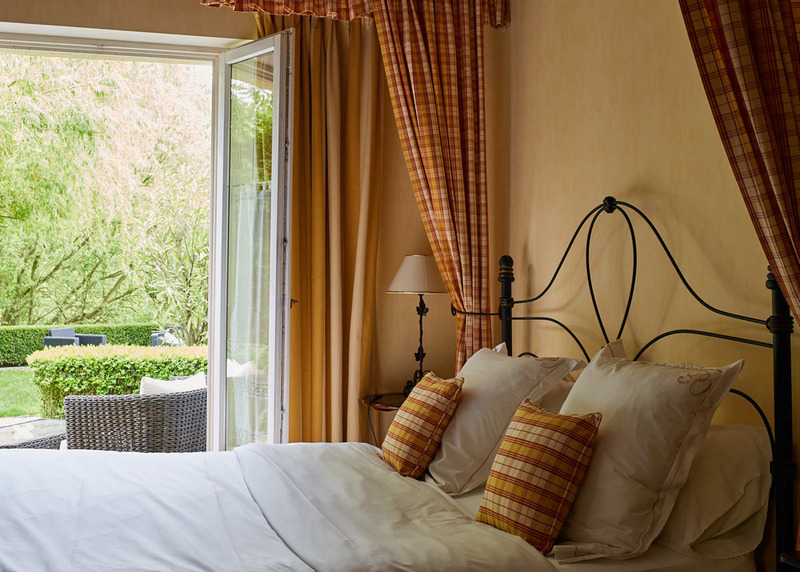 "La Corbeille des Heures" is a spacious ground floor superior room. It boasts a large iron framed double bed, a cosy fire place, a relaxing indoor seating corner and its own private terrace. The room also shows off rose marble floors and large windows. This is a perfect space to enjoy your time and relax.